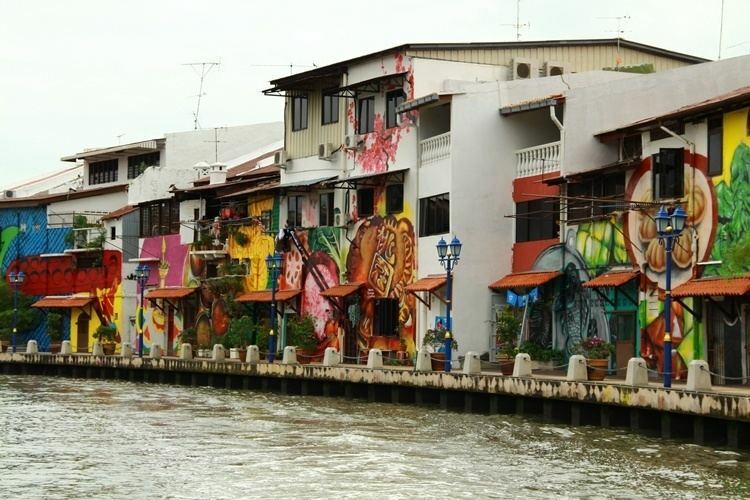 Malacca (Malay: ), dubbed "The Historic State", is the third smallest Malaysian state after Perlis and Penang. It is located in the southern region of the Malay Peninsula, next to the Straits of Malacca. It borders Negeri Sembilan to the north and Johor to the south. The capital is Malacca City, which is 148 kilometres (92 miles) south east of Malaysias capital city Kuala Lumpur, 235 kilometres (146 miles) north west of Johors largest city Johor Bahru, and 95 km (59 miles) north west of Johors second largest city, Batu Pahat. This historical city centre has been listed as a UNESCO World Heritage Site since 7 July 2008. 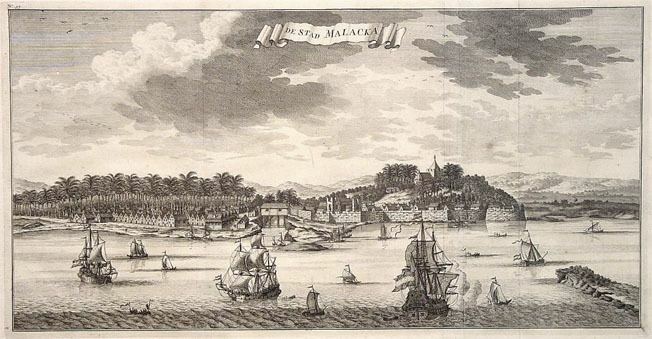 Before the arrival of the first Sultan, Malacca was a fishing village inhabited by local Malays known as Orang Laut. Malacca was founded by Parameswara, also known as Iskandar Shah or Sri Majara, the last Raja of Singapura (present day Singapore) following a Majapahit attack in 1377. 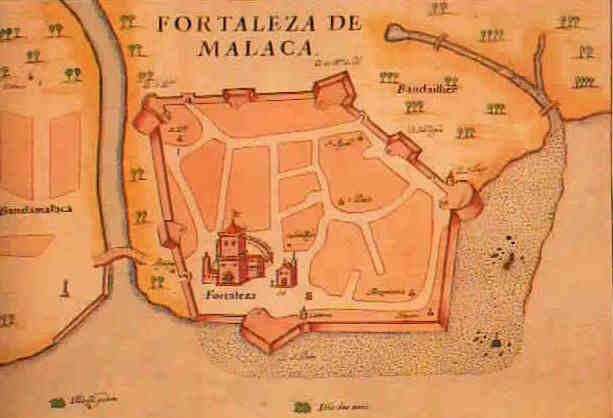 He found his way to Malacca around 1400 where he found a good port—it was accessible in all seasons and on the strategically located narrowest point of the Malacca Straits. According to a popular legend, Parameswara was resting under a tree near a river during a hunt, when one of his dogs cornered a mouse deer. In self-defence, the mouse deer pushed the dog into the river. Impressed by the courage of the deer, and taking it as a propitious omen of the weak overcoming the powerful, Parameswara decided then and there to found an empire on that very spot. He named it Melaka after the tree where he had just taken shelter at, the Melaka tree (Malay: ). Prominent Malaysian artist, Syed Thajudeen, visually depicted the epic tale of the founding of Malacca on canvas. The Beginning, a 4 panel painting measuring 183 x 512cm is now a permanent collection at Galeri Petronas. Because of its strategic location, Malacca was an important stopping point for Zheng Hes fleet. To enhance relations, Hang Li Po, according to local folklore a daughter of the Ming Emperor of China, arrived in Malacca, accompanied by 500 attendants, to marry Sultan Manshur Shah who reigned from 1456 until 1477. Her attendants married locals and settled mostly in Bukit Cina. The state of Malacca covers an area of 1,664 km2 (642 sq mi). The state is divided into 3 districts: Central Malacca (Melaka Tengah) (314 km²), Alor Gajah (660 km²), and Jasin (676 km²). Malacca sits upon the southwestern coast of the Malay Peninsula opposite Sumatra, with the state of Negeri Sembilan to the north and Johor to the east. Malacca is situated roughly two-thirds of the way down the west coast, 148 km (92 mi) south of Kuala Lumpur, the capital of Malaysia and 245 km (152 mi) north of Singapore and commands a central position on the Straits of Malacca. The state capital is Malacca Town. The offshore Pulau Besar, Pulau Upeh and the exclave Tanjung Tuan are also parts of Malacca. Belacan, a Malay variety of shrimp paste, is prepared from fresh shrimp of a species known as geragau in Malay. .
A population of Portuguese descent, who speak a Portuguese creole, are the descendants of colonists from the 16th and 17th centuries. Even to this day, many of the traditions originating with the Portuguese occupation are still practised, i.e. "Intrudu" from Portuguese word "Entrudo" (a water festival that marks the beginning of Lent, the Catholic fasting period), "branyu" (traditional dance), "Santa Cruz" (a yearly Festival of street celebrations). The Portuguese colonists contributed dishes like Devils Curry and Portuguese egg tarts to the towns cuisine. There is also a sizeable number of Sikhs residing in Malacca, and Sikhs from Malacca and abroad congregate in the gurdwara (Sikh temple) situated in Jalan Temenggong during the last weekend of May, to commemorate the death of its former priest, Sant Baba Sohan Singh Ji, who was elevated to a saint upon passing away. St. Johns Fort: Reconstructed by the Dutch in the third quarter of the 18th century, the cannons in this fort point inland because at that time, the threat to Malacca was mainly from inland rather than the sea. St. Peters Church: Constructed in 1710 under the Dutch administration, the church is the oldest Catholic church in Malaysia. Its façade and decorative embellishment is a mix of both eastern and western architecture. Its bell was delivered from Goa in 1608. St. Pauls Church: Constructed by the Portuguese captain, Duarte Coelho, this church was named "Our Lady of The Hill", but was later turned into a burial ground by the Dutch for their noble dead, and renamed "St. Pauls Church". Currently the church is part of the Malaccan Museums Complex. The body of St. Francis Xavier was interred here temporarily before it was taken to Goa, India. Stadthuys: Constructed in 1650 as the residence of the Dutch Governor and his deputy, the structure reflects Dutch architecture. It is today the "Museum of History and Ethnography". The museum exhibits traditional wedding clothes and artefacts of Melaka, dating back to its days of glory. 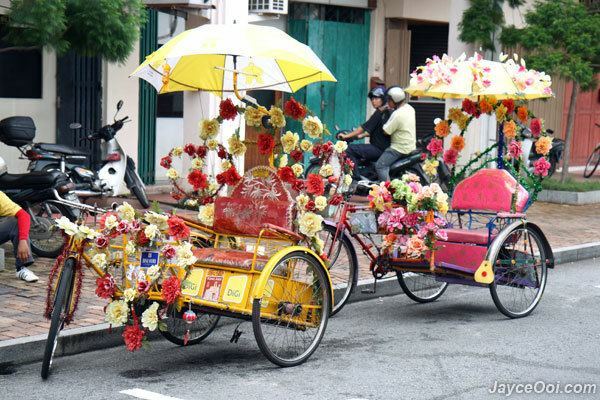 Jonker Walk: This Chinatown street is known for its antique goods. Sri Poyatha Moorthi Temple: This is the oldest Hindu Temple in Malaysia. It was built in 1781 on land given by the Dutch to the Chitty community. Taming Sari Tower: The 110 metre viewing tower was designed based on the legendary Taming Sari Keris, it is a fully revolving structure that lets you witness the sights of Malacca from 80 metres up. Malacca Zoo: The second largest zoo in Malaysia with a land area approximately 54 acres, the zoo has at least 1,200 animals from more than 200 species.